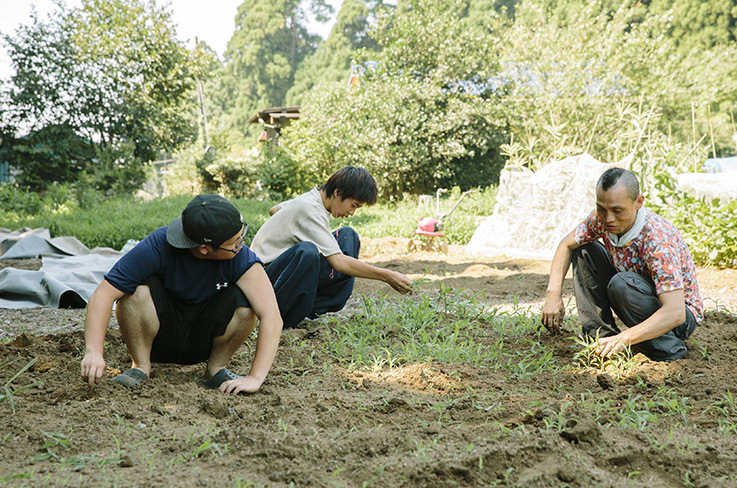 Editor’s Note – Ali Kawakita helps youth who had tough childhoods learn how to farm and craft in Japan. This article was originally posted on FUTUREPERFECT and written by Kentaro Matsui. Ali Kawakita created NOCA?! to give a home to young people who were abused by their parents during their childhood. Working hard in farming or in crafts, they find their way to independence. It is a hot day in Chiba. The thermometer reads 34 degrees Celsius, the kind of heat that makes you sweat just by walking around. 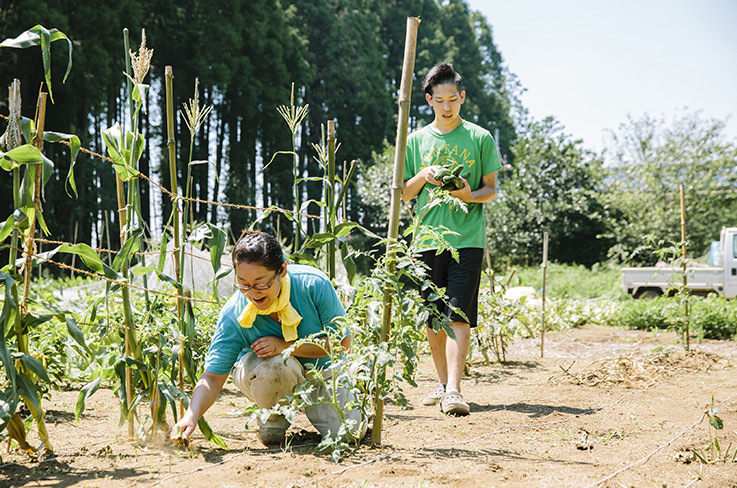 A handful of young people are pulling weeds, plowing the field and harvesting vegetables under the merciless summer sun. Shûji, Yûtarō, Yōsuke and Shûto are part of the project NOCA?! 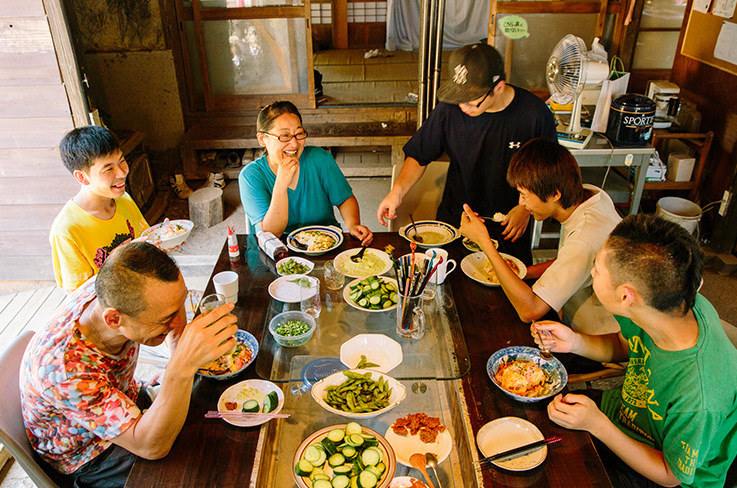 in the town of Tokemachi in Chiba, where they live and work together. “Hey, don’t step on this!” Shûto exclaims. Mrs. Haruka, who works with NOCA? !, has overlooked a couple of sprouting carrots. “Sorry!” she apologizes. Sweat is dripping from Shûto’s mohawk haircut, which a friend gave him. In his capacity of “field chief”, he critically inspects the state of the soy beans. “Are they ripe?” he asks Mrs. Haruka. Her answer is simple: “As soon as you can hear the beans scream: ‘Eat me!’, you can harvest them!” – “Listening to beans, what a pain,” he says. And does it anyway. Three other youngsters join them. “Hey Shûto,” they holler, “go and check on the veggies in the shade!” They learned that you can’t just plant anywhere. A small cluster of trees protects the more sensitive plants from direct sunlight. “Why is it always me? Such a pain,” Shûto grumbles. “A pain, annoying and pointless,” Mrs. Haruka explains, “are the three main words used around here.” “You missed one,” Shûto interjects. “There’s also ‘tired’.” “Yeah, those guys won’t do anything without using these terms,” Mrs. Haruka mumbles as she takes a closer look at the soy beans. “There, don’t you hear it? They are clearly screaming ‘eat me’!’” Shûto can’t help but laugh. Shûto is 17 years old. When he was arrested for shoplifting, his parents sent him away. NOCA?! helped, offering him shelter. Now he has a dream: He wants to find a job in an auto garage. Until then, he has much still to learn – such as proper writing and math. 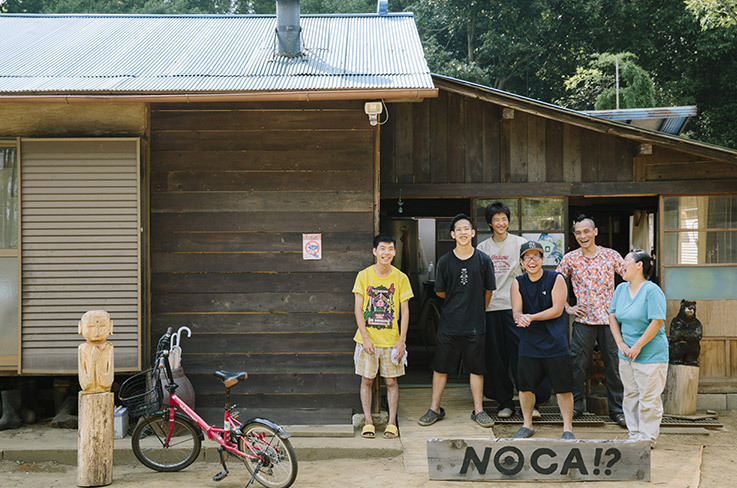 When NOCA!? started out, Ali initially paid wages to his young farm hands. But the first project participants were opposed to the idea. “This is our home,” they said. „You don’t get paid for helping out around the home. It’s just not right.” So instead, they started trying to find long-term jobs for the kids so they could earn their living. This evolved into the regional initiative “hands of the city” that mediates workers for all sorts of small jobs. 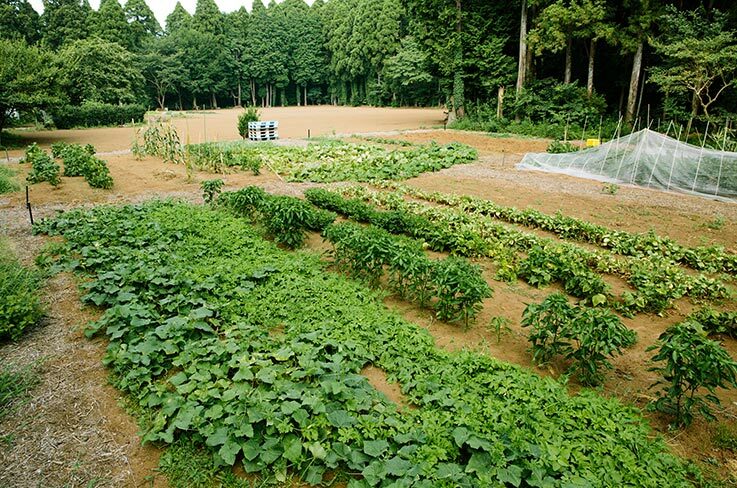 In addition, they sell their surplus vegetables to the “community salon” in nearby Tokemachi. “The youngsters here all had their troubles, no doubt about it,” Ali says. “But when society supports them, they can turn their lives around, and together, they can get on a better track. I firmly believe that it is always better to encourage society to provide a place for these young people, rather than chipping away at them until they fit in whatever mold society deems appropriate. They are coming from an environment that never welcomed them. Now it is up to us to make sure they discover a society where they are welcome. Enough of the talk! We need to get back to work!” Ali gets up from his chair. The afternoon is sure to get hot. And for NOCA? !, the true work has only just begun.